Micalyn has lived in the Morgantown area for 22 years and has been involved in the local housing market since 1990. 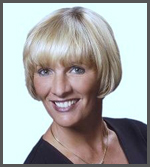 As a professional Realtor she strives to establish an honest and caring relationship with each of her clients. She specializes in bringing buyers and sellers together to make all transactions easy. Skilled in analysis she will provide you with the current marketing information. Need sound real estate advice. Call Micalyn today and she will start working for you.